When I was little, every weekend my family would go camping at Kentucky Lake. Aunts, uncles, cousins, parents, and grandparents would load up the campers and hitch the boats and make the 45 minute trek to the lake. We had 2 spots where we camped (on either side of the Kentucky Lake Bridge). And I’m not quite sure why we didn’t just go to one place? Anyway, I loved camping, building a fire, riding in the boat, skiing, swimming, and riding our mopeds around the camp. We were young, free, and on adventure. We were away from the world for a little bit. But sometimes camping is not as fun as I just described; especially when it is not our decision to go. It can be lonely and depressing especially if we are forced to stop on our journey and have to sit out of life for a while. 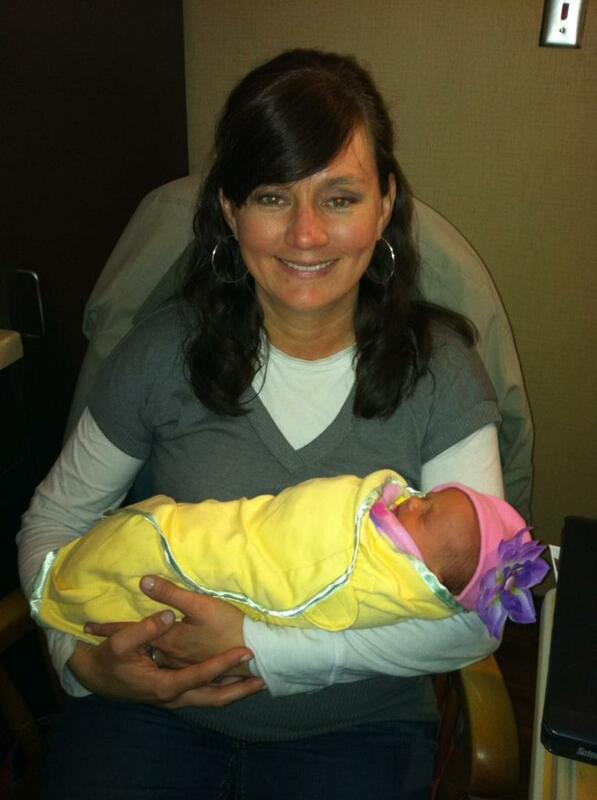 The little nugget I’m holding was just 5 days old when she was admitted to Vanderbilt Children’s Hospital. Cooper was born several weeks early so she was admitted to the hospital to regulate her temperature and body weight. While staying in the hospital, most of her time was spent “camping out” in an incubator otherwise known as Cooper’s condo. It seemed unfair to have this new budding life boxed in away from the world. On the outside she seemed perfectly fine, but it seemed her insides needed a little more care. She needed a place to heal. There are many reasons why God may tell us to “encamp” for a period of time. For the Israelites, it was an extended “time out” because they blatantly rebelled against God. But that is not always the case. God may have us “encamp” because we are weary, we need to heal, or we are being prepared for what lies ahead. For myself, I think I’m camping out for all three. I can relate to being weary. Making progress in life is hard work. When we insist on moving forward as quickly as possible, we can wear ourselves out in a hurry. Sometimes when God makes us wait, it’s one of the most merciful things he can do. I can relate to needing a healing. Life’s hard. We get hurt. That means sometimes we need most is for God to stop us right in the middle of our road as we limp along and say, “Daughter, sit down. Rest. Heal. Let me tend to your wounds. And I’d like to believe I’m being prepared for what lies ahead. God’s plans for our lives take preparations. That’s not my favorite part – I just want to get to the end result. But sometimes God asks us to “encamp” so that he can do the necessary work in our lives for his purposes. Then when the time is right, we get to dig in and enjoy. Holly said, “Whatever reason you feel “encamped” in your life right now, use this time to rest and receive the truth your heart needs for the journey.” Like little Cooper, on the outside you appear fine, but you might just need to hang out in the condo for a little while and rest before it is time to pack up and get moving again.